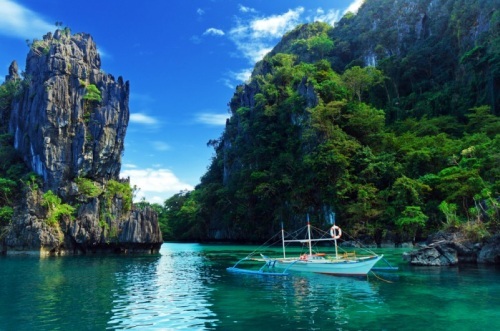 Philippine Airlines has dropped the price of their non-stop flights from Vancouver to Manila, Philippines (MNL) down to $787 CAD roundtrip including taxes. January through March are excellent months to visit. Far away from monsoon season! These ones seem to be disappearing fast. They're already gone from the Philippine Airlines website. You may want to try clicking through from Kayak to multiple third party sites. 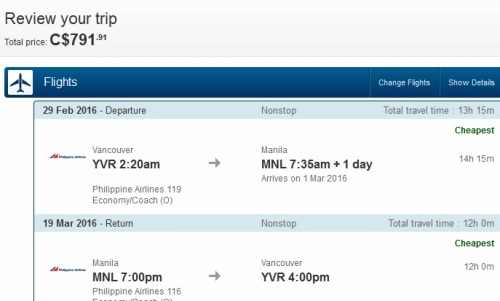 - These are showing up again on the Philippine Airlines website, for $791 CAD roundtrip including taxes. Try a flexible date search on the Phillipine Airlines website in January, February, or March 2016, and look for the dates that are $395 each way. 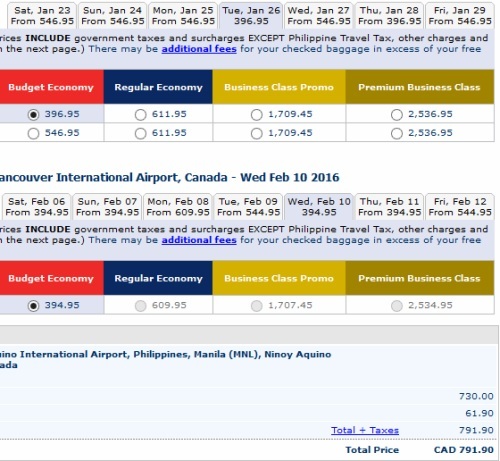 vancouver, yvr, flight deals, asia, southeast asia, philippine airlines, manila and philippines.